Ancarano, Gasparo (fl. 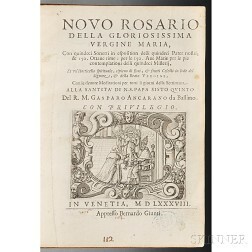 circa 1587) Novo Rosario della Gloriosissima Vergine Maria. Ancarano, Gasparo (fl. 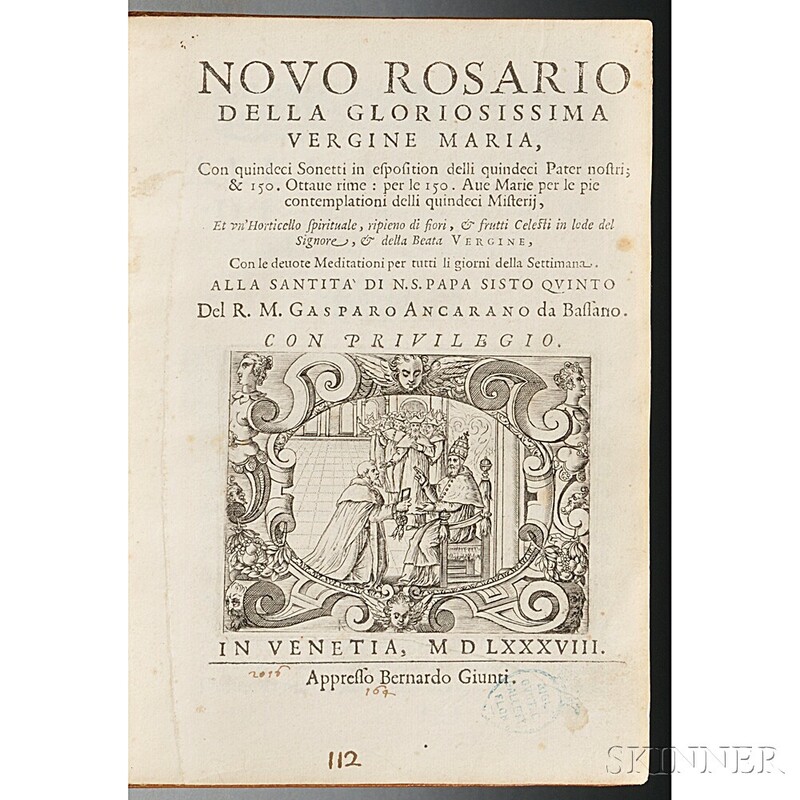 circa 1587) Novo Rosario della Gloriosissima Vergine Maria. Venice: Bernardo Giunta, 1588. 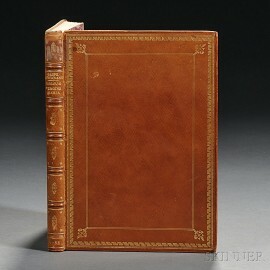 Quarto, engraved vignette on title, illustrated with twenty-one full-page engravings and chapter heads; small library stamp at foot of title, ink inscriptions to title, bound in full diced russia, gilt, washed and trimmed at the time of the later binding, but generally fresh, clear tape applied over the top compartment of the spine, 8 x 5 1/2 in. This rare illustrated work dedicated to the Virgin Mary in the tradition of emblem books is held by six libraries worldwide according to Worldcat.